Can Ice Cream Sandwich reboot Android tablets? Can Ice Cream Sandwich dominate tablets as well as phones? It's here! 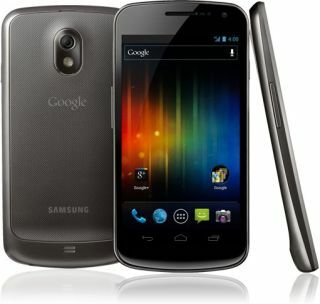 After months of teasing, Google has finally unveiled Android 4.0 - also known as Ice Cream Sandwich. As Chris Smith reports, it's a biggie. "Android 4.0 Ice Cream Sandwich offers a massive array of improvements over its predecessors, bringing the best of both Gingerbread and Honeycomb while providing a raft of new innovations," he explains. The first Ice Cream Sandwich phone will ship in November, with other phones getting updates within weeks. It's just as well Android 4.0 is good, because Google's slogan for it is rubbish. According to Smith, who bravely managed to type it without weeping, it's "enchant me, simplify my life, and make me awesome". Er... let's move on, shall we? The key to Ice Cream Sandwich is that it unifies two previously distinct versions of Android: Gingerbread, which runs on smartphones, and Honeycomb, which runs on tablets. That means you get a unified look and feel across devices of all sizes, and it's also good for developers who no longer need to make two different versions of their Android apps. But there's much more to Android 4.0 than that. The key features include an improved user interface, better multi-tasking, a vastly improved camera app, near field communications technology called Android Bump, improved notifications and what Smith calls "the most Star Trek of all the new Android 4.0 features": the ability to unlock your phone with your face thanks to facial recognition technology. We can't wait to test it: will it work with photos? What if we grow beards, or wear comedy specs? We know what you're thinking: wouldn't it be great if there was a place on the internet where you could find everything you need to know about Android 4.0? You're right, it would be. New operating systems tend to face teething issues, and Ice Cream Sandwich doesn't appear to be the exception. HTC is being rather vague about which devices will be updated, and the flagship Ice Cream Sandwich smartphone, the Samsung Galaxy Nexus, is getting a ridiculously steep iPhone 4S-style price when it hits the UK in November. "That's a dangerous category to be in," our phone guru Gareth Beavis warns, arguing that even "£41 a month for just £30 up front [is] still far too expensive when most other top-end smartphones are £35 a month at the maximum." However, as Beavis points out, "the Google Nexus S came with a similarly ridiculous price tag before it dropped just before launch, so you may want to think twice before pre-ordering just yet". Can Android 4.0 dominate tablets? Ice Cream Sandwich isn't just for phones, of course, it's for tablets too. Will it break Apple's stranglehold and wipe the smile from Tim Cook's face? TechRadar's own Captain Cheery, columnist Gary Marshall, isn't convinced: while he reckons that the OS is great, he predicts that "one, Android 4.0 smartphones will fly off the shelves. And two, Android 4.0 tablets won't." The problem, Marshall argues, is that tablets are as much about what they can do - the music, the apps, the ebooks and so on - as the technology inside them. Google knows this too, which is why the firm is making the final tweaks to its digital music store "with a twist" and working on its books offering. As Google's senior vice president Andy Rubin told delegates at the AsiaD conference, "We're in the very early phases of adding consumer products... we'll see the benefits of that reasonably soon." Marshall hopes so, and that Rubin's right about the "reasonably soon" bit. "As long as Android tablets' media, games and app choices are so much smaller than Apple's and Amazon's, Android tablets will remain a tough sell for the mass market." he says. "Even though you can unlock them with your face."